Asheville, NC -- Donna the Buffalo just passed the marker as their 25th year as a band and have proven to be a consistent purveyor of American music. What’s the recipe? To be sure, it’s infused with more spices than you’ll find at a Cajun cookout by way of a southern-fried, rockin’ country old-time jamboree. “For the dizzying array of styles and genres with which they work, Donna The Buffalo maintain a surprising level of consistency. 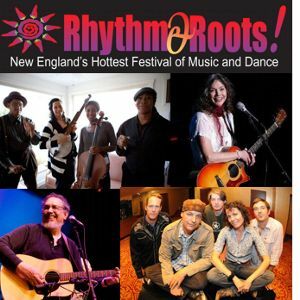 The New York-based band has played around with folk, zydeco, and many other musical ideas over the course of their 25-year career, but they retain a sharp focus that has helped them create some truly lasting music,” writes Elmore Magazine. Nashville, Tenn. (April 16, 2013) – More energized and focused than ever before in their near 25-year career, roots-music troubadours Donna the Buffalo will debut their first studio album in five years, Tonight, Tomorrow and Yesterday, on June 18 via Sugar Hill Records. Asheville, NC -- Donna the Buffalo will be touring throughout the East this Winter and into the Spring. This February marks their appearance at the 2nd annual Virginia Key GrassRoots Festival in Miami (the 4th in a family of GrassRoots Festivals hosted by Donna the Buffalo). 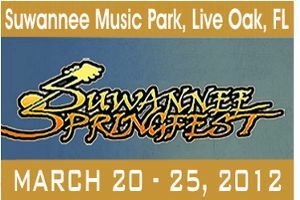 In March, Donna the Buffalo returns, for the 17th year in a row, to Suwannee Springfest in Live Oak Florida! Calling all Herd! There is a situation calling for help and we areperfect for the job! The National Wildlife Federation has an amazing opportunity to help relocate over 140 wild bison from a private ranch in Montana, to their native lands on the Wyoming Wind River Reservation. The Shoshone and Arapaho Tribes of the Wind River Reservation have already expressed their desire to accept these magnificent creatures. This could provide the bison with hundreds of thousands of acres of habitat to thrive on as a wide-ranging herd. You can read more about it by clicking here. Donna The Buffalo kicks off for their Fall tour this weekend starting with the last festival of the season at Magnolia Fest in Live Oak, Florida! Then the band makes their way to the west coast for the first time in a few years with stops in Mobile, New Orleans, Austin, Albuquerque and Flagstaff before few shows in southern California. Then they head north and link up with David Gans for four shows in the Bay Area after which they make their way to Eugene and Portland and finish up the tour in Seattle before heading back east. Live Oak, FL -- The Spirit of the Suwannee Music Park and the promoters who do Springfest, Magnolia Fest, Bear Creek Music & Arts Festival and Blackwater Music Festival have started the Suwannee Music Foundation, a not-for-profit to help the flood victims of Suwannee Valley in Suwannee, columbia and Hamilton Counties. 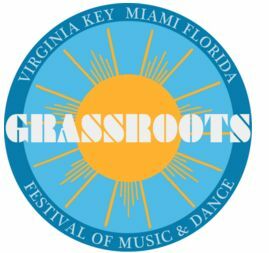 Miami, FL -- In the spirit of family, cultural celebration and fun, The Historic Virginia Key Beach Park will serve as home to the world-renown GrassRoots Festival of Music & Dance, February 9 - 12, 2012. The historic GrassRoots Festival is headed to South Florida to celebrate diversity through music, art and dance.